This sweet angel was left at the shelter because they said she was injured. Her heart is broken as well and she needs help now. Please SHARE for her life, she's SO special and a FOSTER or ADOPTER would save her. 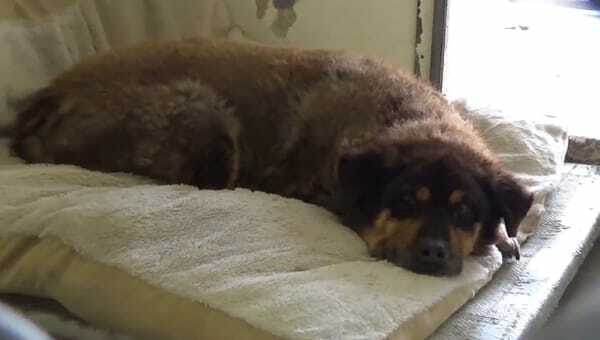 #A3533466 My name is LUCY and I'm an approximately 13 year old female Rottweiler. I am already spayed. I have been at the Carson Animal Care Center since 4/1. I will be available on 4/1. You can visit me at my temporary home at C109. My former family who owned me for had to give me up because they couldn't afford the care I need. It is hard to tell the difference between the ones who say they love you, and your actual enemy. For LUCY, the betrayal is all too real. 0 Response to "Her heart is broken as well when her Mom and Dad carried her into the kill shelter at 13"